Which of the two is better -if an individual wants to partake in good actions- building (establishing) a school for the memorisation of Quran or building (establishing) a mosque? (The affair is) in accordance to the need; if the (particular) land needed a mosque more than a school for memorisation of Quran; (then) build a mosque, and if it was the opposite, build a school. The person should contemplate and ponder and not be hasty. We ask our brothers & sisters to help us establish a School here in Manchester. Alhamdulillah we already have a masjid, with lessons in Qur’an, Arabic & Islamic Studies for Adults and Children. However a school is missing, and is a great neccessity for us. Please give whatever you can for the sake of Allah. 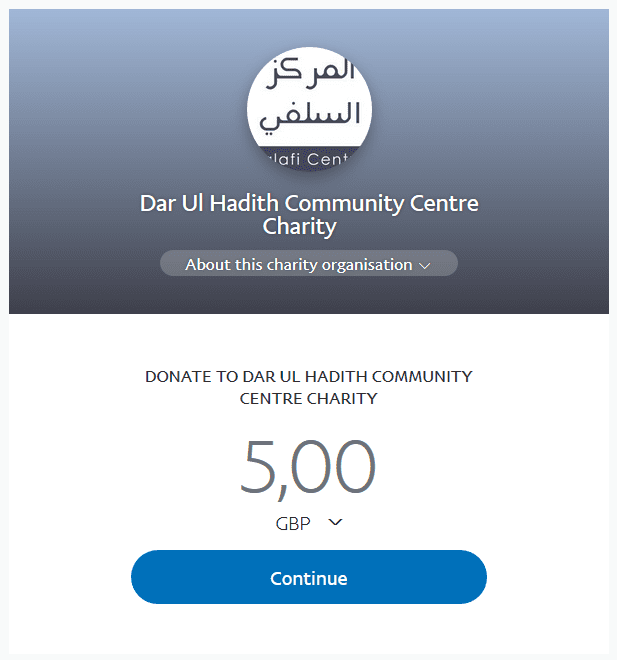 It is easy to donate and all details can be found here at www.salafischool.co/donate. You can Also donate directly via Paypal here. Do not delay and gather as much reward as possible this Ramadhaan. May Allah facilitate it for us, and grant us forgiveness and his mercy.